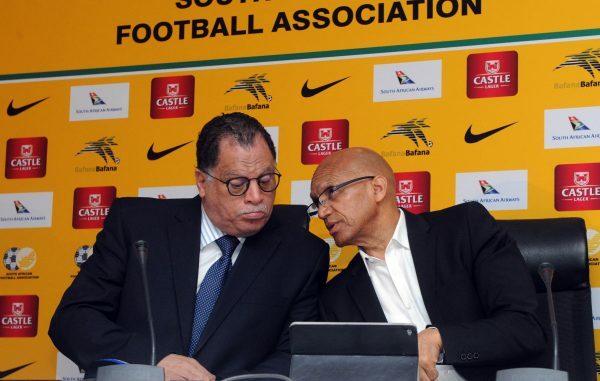 In terms of staggering acts of total incompetence, the South African Football Association (Safa) have racked up so many over the years, it can hardly be too much of a surprise when another one comes around the corner, pricking up its farcical ears for all to see. Let us forget for a moment about the Safa elections, because I’ve been trying to understand what is going on there, but it is just making my head hurt. In any case, I have done my best to explain the latest goings-on over on Page 10. Instead, I wish to focus on the Bafana Bafana “call-up” handed to Orlando Pirates assistant coach Rhulani Mokwena, and the subsequent withdrawal of that “call-up”, as announced by Bafana Bafana head coach Stuart Baxter yesterday. Baxter said only last week that Mokwena would be joining Bafana on their journey to a Four Nations tournament in Zambia this week, to give his input into a camp that gives the national team a chance to put in some groundwork ahead of the 2019 Africa Cup of Nations qualifiers towards the end of the year. It seemed like a fine idea, to get a brilliant young coaching mind like Mokwena’s into the international set up. After all, the sterling job Mokwena did at Mamelodi Sundowns alongside Pitso Mosimane and has done at Orlando Pirates this season, alongside Micho Sredojevic, is there for all to see. Baxter spoke well of an ideal situation where the head coach of Bafana is a South African, and as future candidates go, Mokwena has to be right up there. But there was just one problem, it appears, in announcing Mokwena, and it is quite a large problem. No one at Safa, it seems, had bothered to talk to Orlando Pirates and inform them that this is what Bafana Bafana wanted to do. There were signs of this in the words of Pirates head coach Sredojevic, in the aftermath of Pirates’ Nedbank Cup loss at Cape Town City this week. I was there inside Cape Town Stadium as Micho first questioned the timing of Mokwena’s call-up, and then he back-tracked a little bit, saying he was happy for Mokwena to go, but not really appearing to mean it. And now we have come to this denouement, which is that Pirates have refused to release Mokwena to Bafana. This is, I have to say, totally understandable, given that the Buccaneers are right in the title race, and do not need their preparations disturbed in any way. It is difficult enough challenging Masandawana for the league crown, without losing one of your brightest minds to the national team for a week or so. What beggars belief is that Safa did not make sure they had permission to take Mokwena to Zambia, before announcing that he was coming with them. Their actions here have made them once again look incapable of organising the proverbial piss-up in a brewery, and added to a litany of administrative errors over the years, from allegedly writing to Benni McCarthy’s old club, Ajax Cape Town, addressing a “Mr Celta Vigo,” not knowing that this was actually the name of McCarthy’s new club, to more recently calling up midfielder Kamohelo Mokotjo without knowing he had rescinded his South African citizenship.